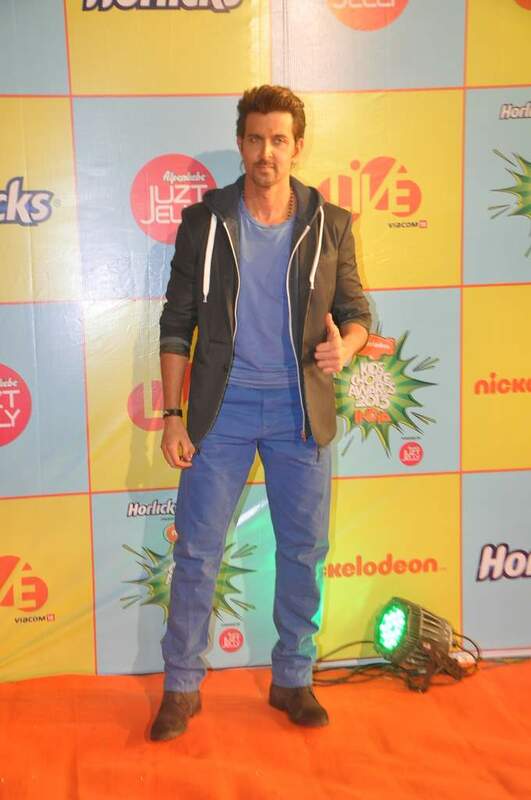 BollywoodGaram.com: Bollywood star Shahrukh Khan, Hrithik Roshan, Jacqueline Fernandez and Deepika Padukone were seen attending the Nickelodeon Kids’ Choice Awards which were held at Filmcity in Mumbai on November 14, 2013. Other celebrities who also attended the event included Ragini Khanna, Irrfan Khan and Rajpal Yadav. During the event, Hrithik said, “I feel very happy, blessed, it’s Children’s Day and we all can celebrate the child inside of us.” The ‘Krrish 3’ actor went on to say that this is a great opportunity for him to have a good time with children on stage. Hrithik also said that the love of children is always unbiased, uncontaminated and is straight from the heavens.